And I just can't get enough. The photo above was taken at Portland's Japanese Garden last fall. Imagine a bathroom rug of moss like that. 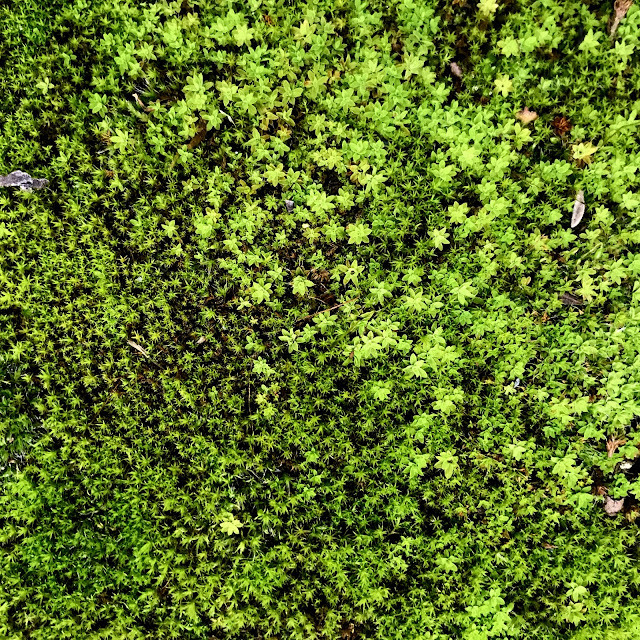 Wouldn't it be wonderful to step out of the shower onto a carpet of moss? 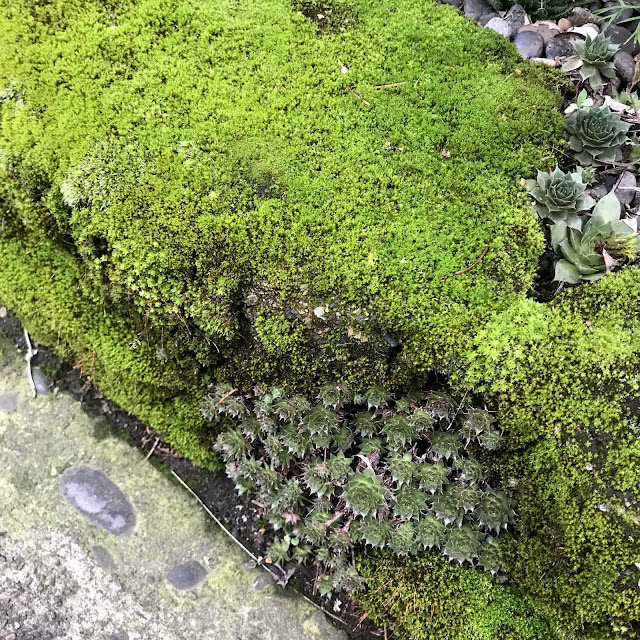 I discovered this mossy rock on a neighborhood walk. 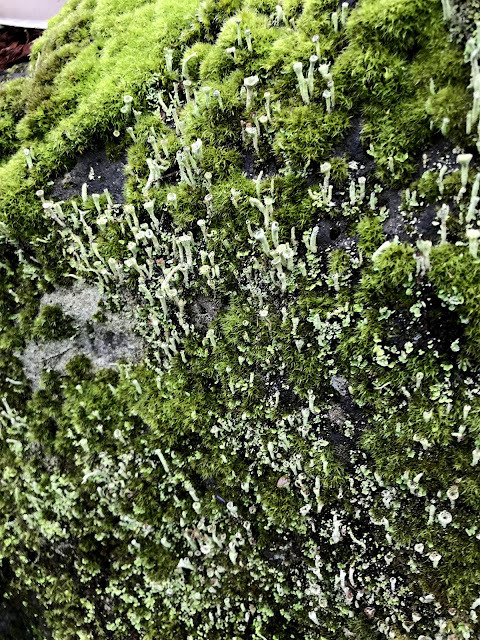 Ditto for this one, with it's lichen trumpets. 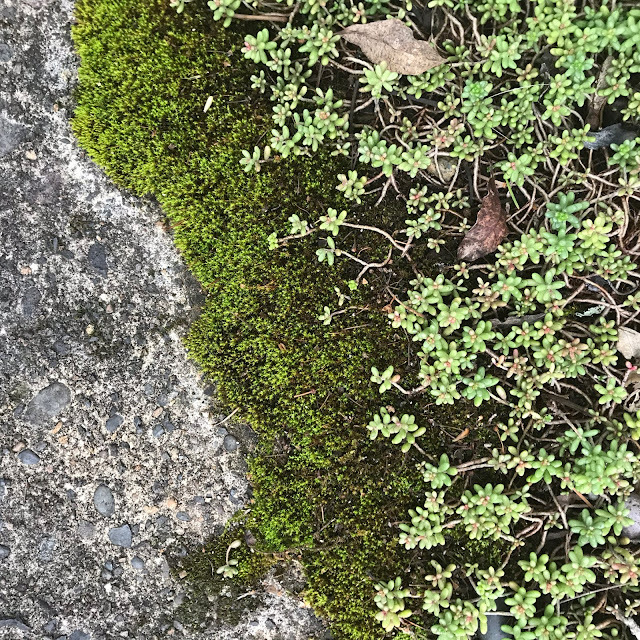 This patch of moss has been growing in one of our driveway stock tanks, since I rescued it off a sidewalk. I'm sure the little seedlings are weeds, but right now they're awfully cute. This patch is near one of our gutter downspouts. 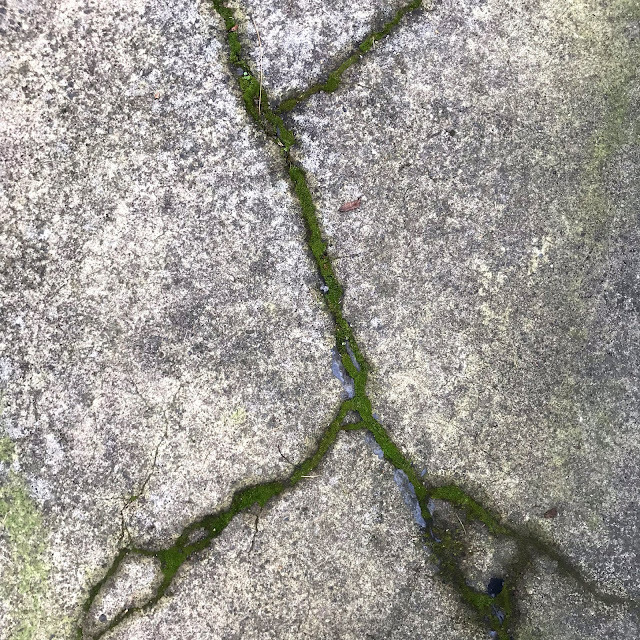 On the cement blocks next to the driveway. Ha! 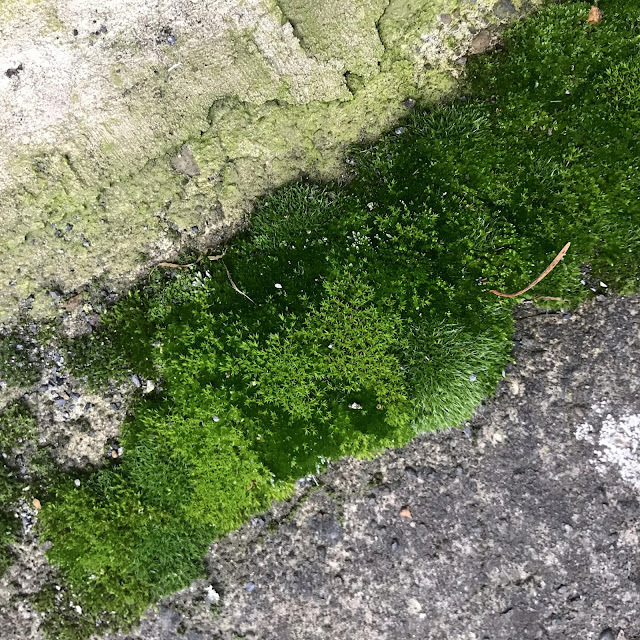 This is supposed to be lawn, but right now it's primarily moss. 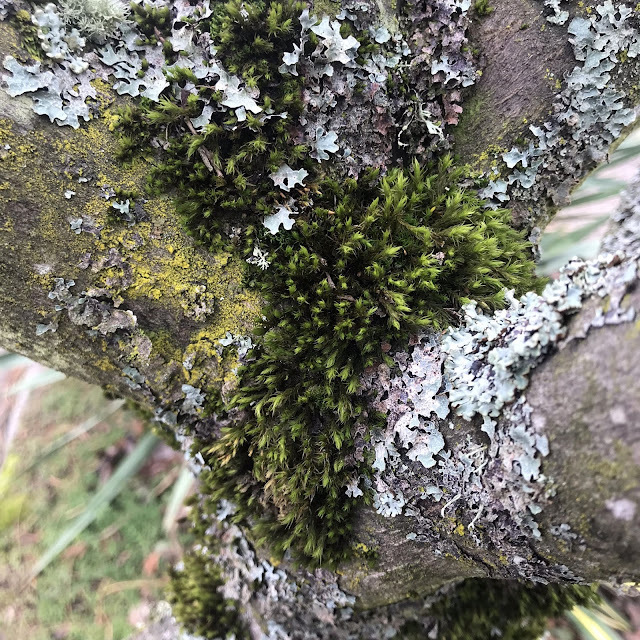 Moss and lichen on one of our street trees. They are my favorite things about our otherwise stupid street trees. 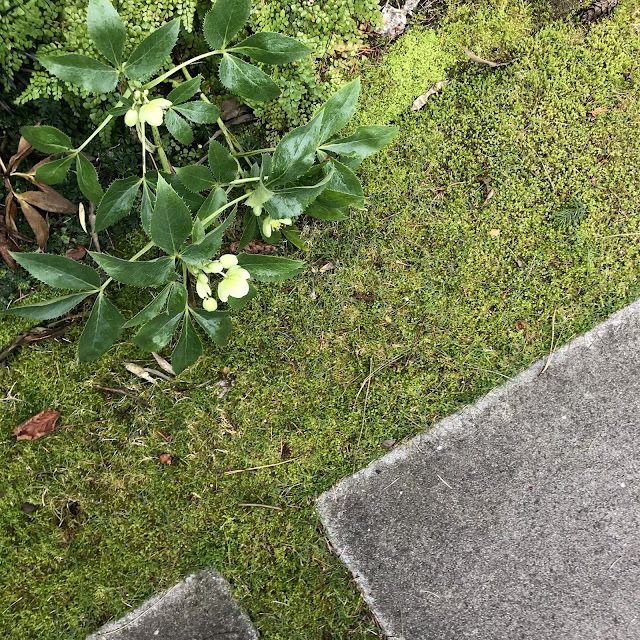 In case you're wondering about the flip from snow yesterday to moss today, well not all blog posts are "day of"...these photos were all taken last week, when we were still under the illustion that winter passed us by. You clearly have a number of different mosses in your garden and 'hood. Their differences really stand out when they are growing next to each other. 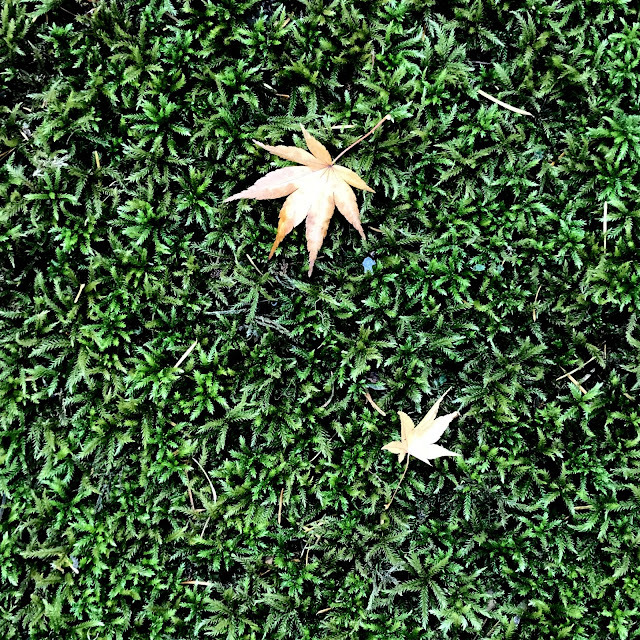 We have moss in the same way: here and there and always a new little surprise when you least expect it. I thought the different shades of green and shapes were quite attractive together like they are. 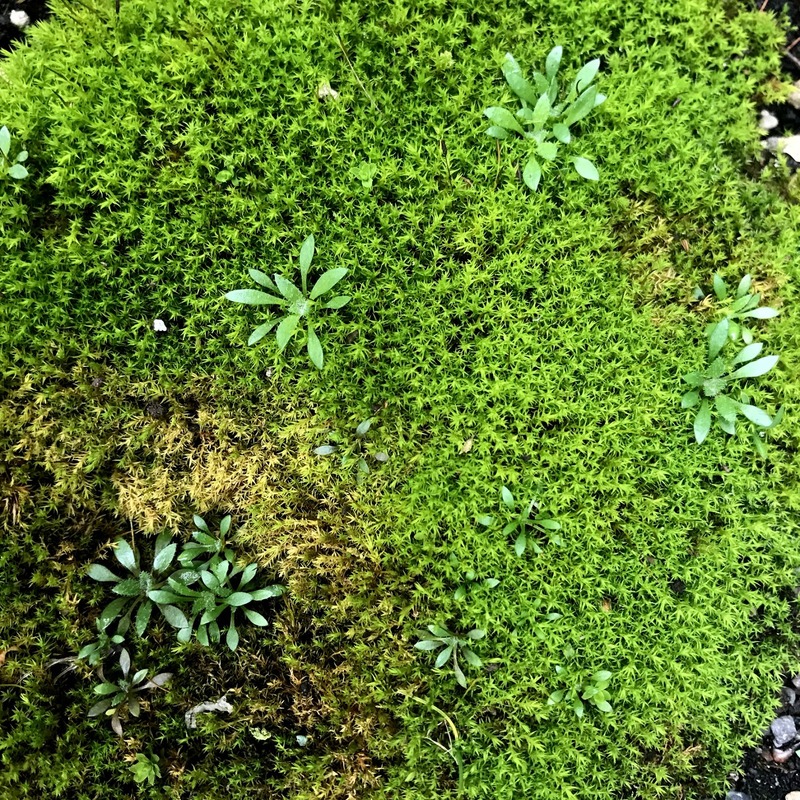 I love moss too, especially that spongy feel of a mossy lawn. I collect all kinds of bits and pieces of moss and lichen as well. And what do you do with them, once collected? Isn't moss your state flower? It sure is beautiful stuff that so many take for granted. It's nice to see something green at the moment while we're still covered in white and they're precting snowmageddon to arrive on Friday. Back in our snowstorm of Jan 2017 I remember stepping off the plane in LA and the fact there was COLOR, when all I had seen for over a week was white, almost maded me cry. 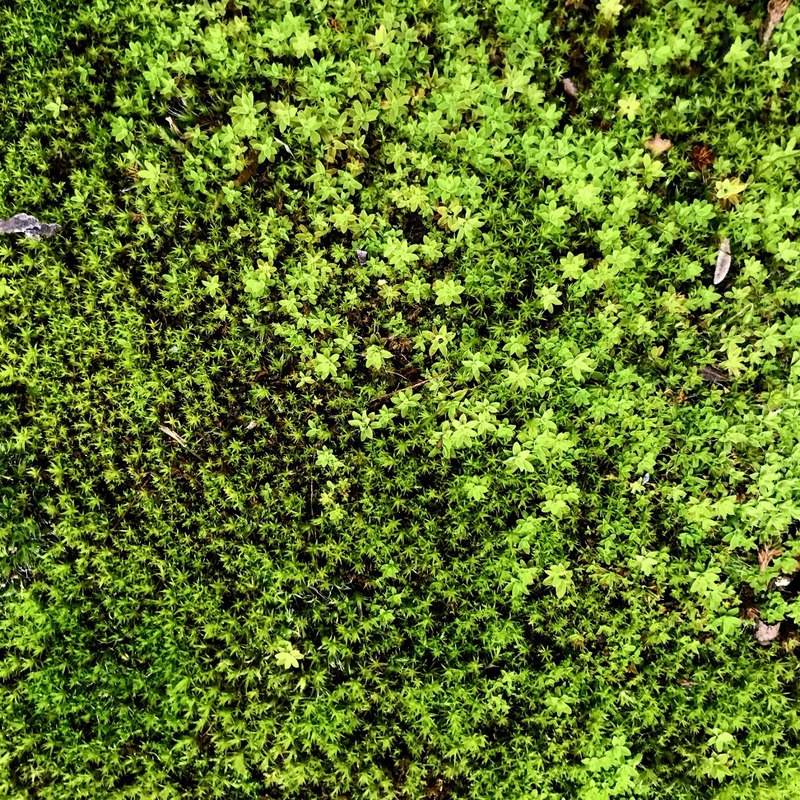 The colours of moss are always such vibrant shades of green. 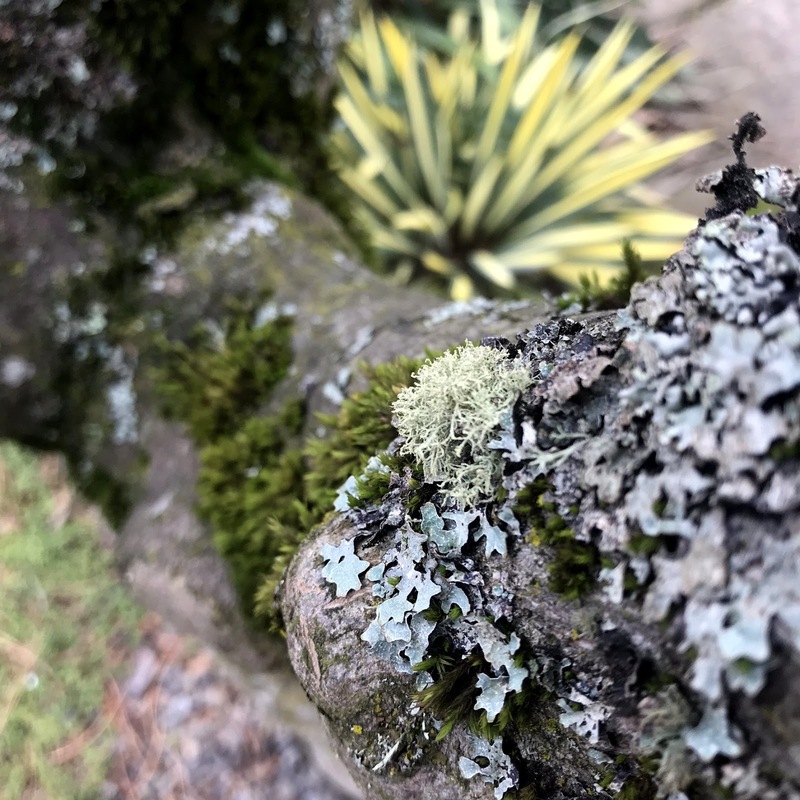 The contrast between the lichen encrusted trunk and the agave in the background is a lovely contrast in textures. Until they aren't. It's so interesting watching them dry up in the summer, but they always faithfully return over the wet months. Now that's a nice collection! 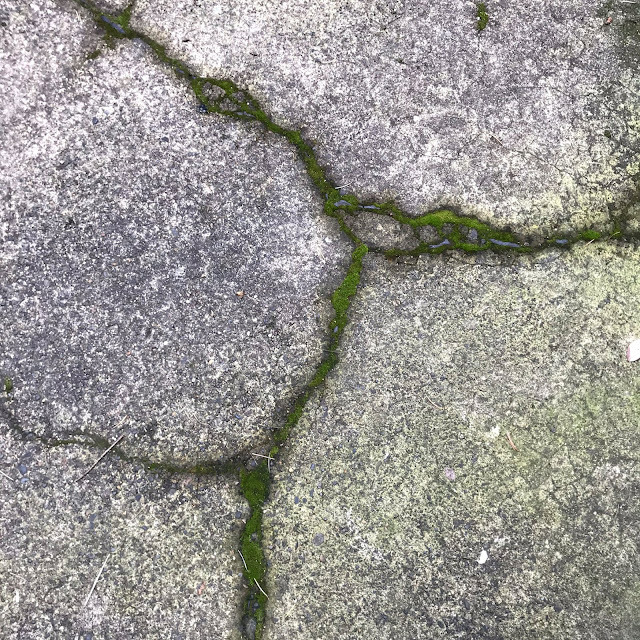 We've got moss in various spots now too but it's most widespread between the driveway and walkway paving stones. That moss dies back once temperatures rise and the stone heats up. I've never seen lichen here. Yes our moss pretty much all dries up over the summer too. 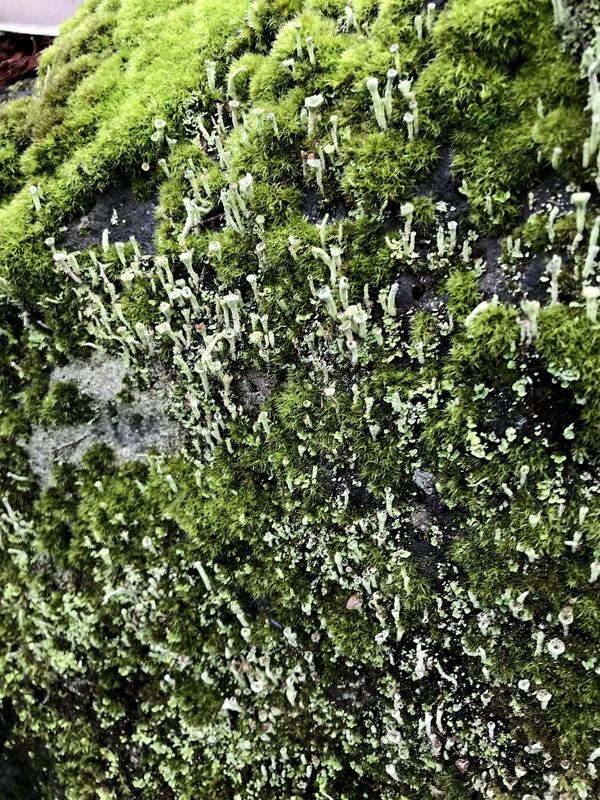 Never seen lichen? Well that's just crazy! I often bring home moss and lichen encrusted 'treasures' - miniature masterpieces! You have the perfect climate for them. Indeed we do. So what do you to with your collected treasures? (I only point this out because we would prefer to keep you here). I might be willing to give up the moss if it meant never seeing another forecast like we have! 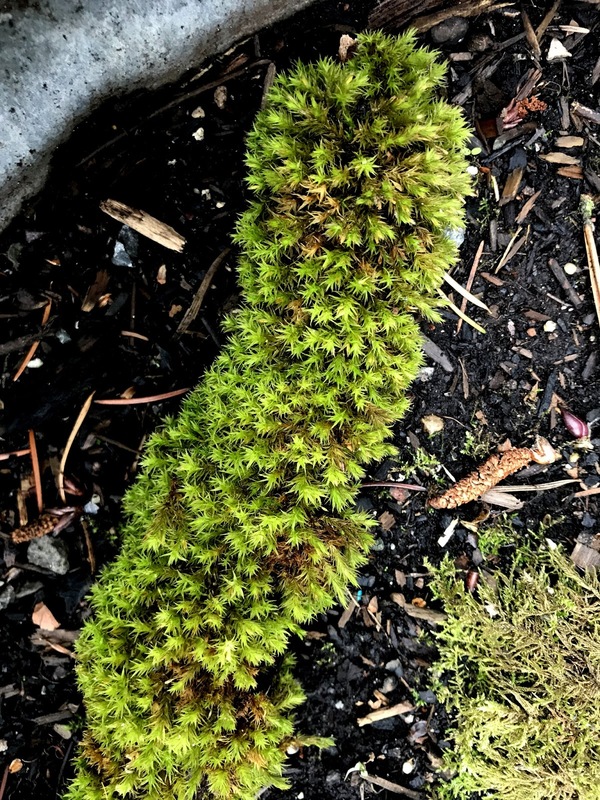 I don't like all moss equally. I prefer the soft silky moss in particular (on the top left of the rock), and lichen, all of it. 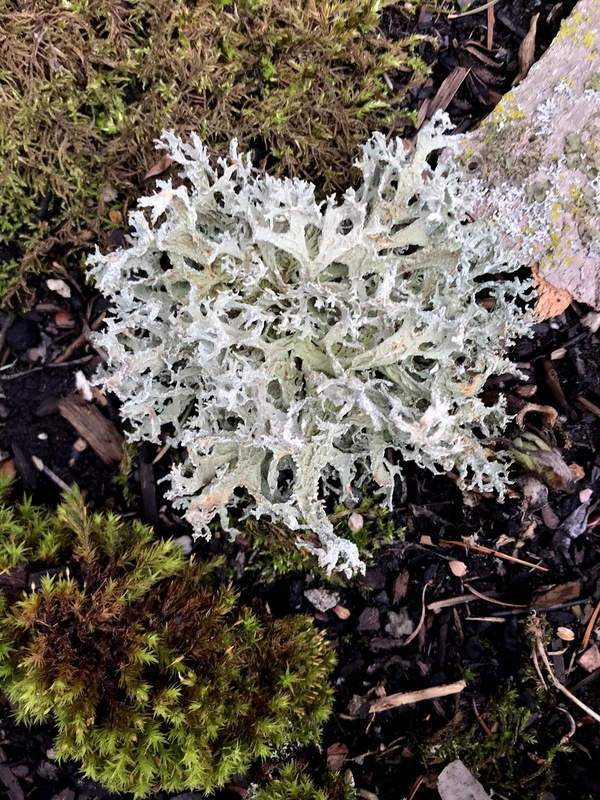 Lichen trumpets are adorable; when I discover them in my garden I squeal with joy. 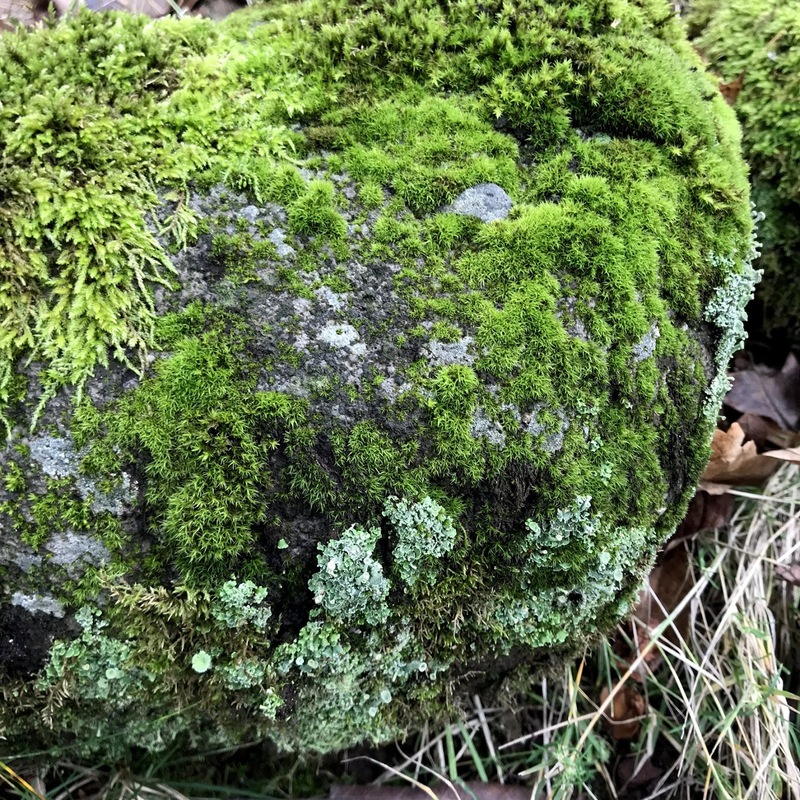 How great that you photographed all the mosses around your garden! I never would have thought to do that. 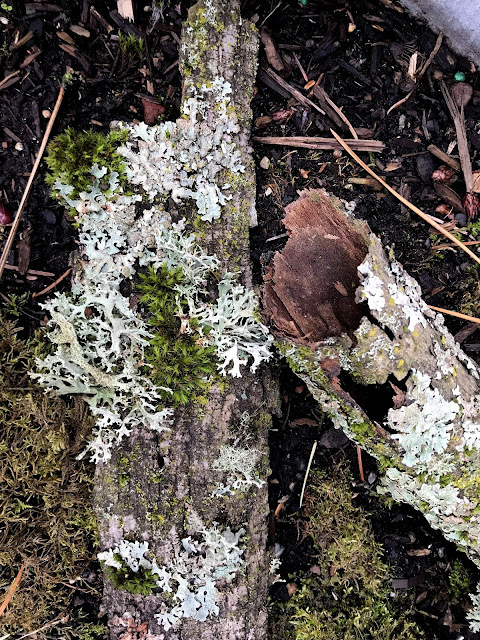 I too have a collection of sticks & bark of miniature moss/lichen worlds. Guess who dumped them all into the brush pile and hauled them away last week?! I was SO upset.